Bharatiya Janata Party Chief Amit Shah has been calling the general elections of 2019 a ‘battle of ideologies’. He belongs to the Hindu-centric ideology of Rashtriya Swayamsevak Sangh (RSS), and is of the opinion that India has originally been a right-wing country; now “ready” to express so through the ballot. In Nagpur, where the RSS is headquartered, the battle is as fierce as elsewhere. The city will go to polls on April 11. The heavyweight minister from Narendra Modi’s Cabinet, Nitin Gadkari, is contesting from Nagpur for a second term. He is challenged by Nana Patole, a Congress candidate and former BJP MP, who had resigned from the party two and a half years ago. Though the battle is mainly between these two, but the performance of the other two candidates – from Vanchit Bahujan Aghadi (VBA) and from Bahujan Samaj Party (BSP) – will have decisive impact on the outcome of the elections. Nagpur has close to three and a half lakh Dalit votes, and around two lakh Muslim votes. For these sizeable and significant chunks of population, VBA has given ticket to Sagar Dabarase, while Jamal Sheikh will be contesting on the BSP ticket. If these two candidates succeed in securing a large number of votes, it will ultimately help Gadkari, and is expected to hurt Patole. Nagpur has been more or less a Congress bastion for the past 40 years. 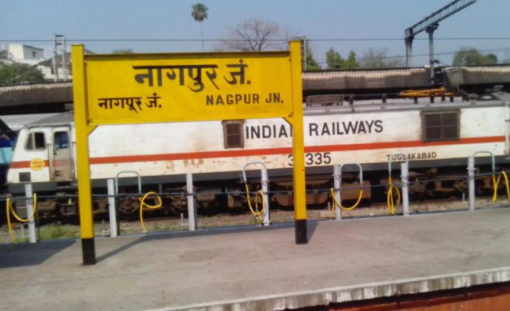 The party might have lost Lok Sabha elections thrice in between, but generally, whether in general or Assembly polls, Nagpur has been a city that voted for Congress en bloc. However, the Congress party lost the city to BJP in 2014 due to groupism. It could not gain its ground back even during the subsequent Assembly elections. Congress has traditionally had voters from the Maratha, Kunabi, Dalit and Muslim communities, which it is now trying to retain. Nagpur's Dalit voters earlier voted for either of the two parties: Congress and BSP. Mayawati's party had won 90,000 – 1,00,000 votes every time from this Lok Sabha seat. This time too, Dalits are expected to reject the BJP, but whether they will opt for Congress, VBA or BSP is the question. Similarly, in case of the Muslim community, it is apparent that the community will go against the BJP. One of the faces of VBA is Asadusdin Owaisi, leader of the Hyderabad-based All India Majlis-e-Ittehadul Muslimeen (AIMIM). Nagpur and Hyderabad are not far away from each other, and the local Muslims do have good contacts in the Hyderabad city. A possible consolidation of Dalit votes against the Congress candidate is also a possibility. In 2006, Maharashtra had witnessed brutal rapes and killings of the members of a Dalit family in Khairlanji village of Bhandara district – adjoining Nagpur. Congress candidate Patole comes from the Bhandara district. It has been alleged that Patole had supported the killers after the Khairlanji incident, and had even held a protest march for them. He was a Congress MLA back then. So, many Dalit activists had requested Congress president Rahul Gandhi not to give a ticket to Nana; the request was nevertheless turned down. Many feel that the backlash of the Dalit community may hurt Congress. However, Congress seems to have taken up a strategic approach with Patole’e selection. After Dalit leader Prakash Ambedkar formed the VBA, Congress could foresee a decrease in the number of votes from the Dalit community. Nana comes from the Kunbi community. [It is like Kurmis of Bihar, whose main soured of income is agriculture.] As the severe agrarian crisis continues to afflict the farming community, the community is displeased with the BJP. In this situation, by planting Patole, Congress wants to consolidate Kunbi votes in its favour. Nagpur is the second capital of Maharashtra, and capital of Vidarbha region. The battle in Nagpur will have ripple effects on the entire region with 10 Lok Sabha seats. So, if Nana succeeds in consolidating his community’s votes in the Nagpur constituency – which is mainly urban – then the entire region of Vidarbha may see new equations. Kunabi community comes under the Other Backward Castes (OBC) category in the state. The Congress party has been promoting its OBC leadership in all over country. It is a strategic shift to cut BJP’s votes. The saffron party has enjoyed the support of the community for the last two decades. Now, Congress seems to be eyeing this section. However, Gadkari has an upper hand in the Nagpur constituency. Projects like metro have earned a good support for him. Also, BJP has given the chief ministerial post to another Nagpur boy – Devendra Fadnavis. Even as there are two groups in the Nagpur BJP – Gadkari and Fadnavis loyalists, but they are not at warring heads in the electoral politics. All this will help BJP in the upcoming elections.